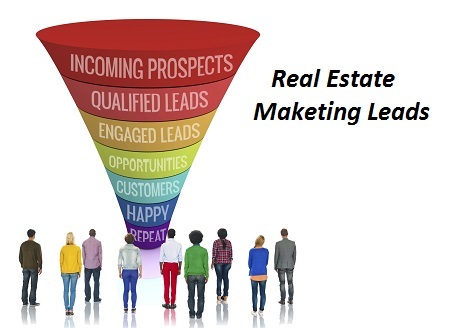 Mailing Real Estate Marketing Letters is one of the best, most focused, results oriented strategies to generate prospects, leads, listings and sales. 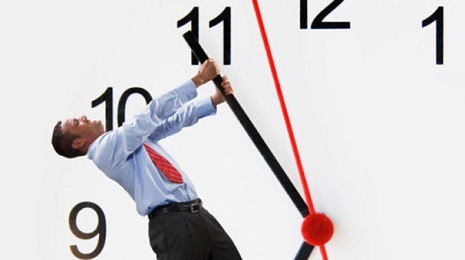 It's easy to do and will leave you with a sense that time spent doing it was productive. Plus, it’s a strategy that's easy to sustain, unlike some initiatives that come to mind, like Facebook Marketing, Twitter, and the like. Now don't get me wrong, I love Social Media Marketing but admittedly there is a longer learning curve that requires more computer savvy to overcome than there is to addressing envelopes and mailing them. If you can mail letters you can get listings and if you have enough of them it’s almost guaranteed that you’re going to sell something! Still, many agents don’t promote their products and services via letter marketing campaigns. I'm not sure why, but their loss is potentially your gain, as you’ll have less competition for prospects and leads generated through them. If you're not marketing your services via letter campaigns you may be wasting a monumental amount of time while depleting your bank account. You can have meaningful contact with 10-20 people a day in less than an hour through letter campaigns and only s few more during the rest of the day. Yes, mailing letters is pretty doggone easy. However, before you get too excited know that some letters available to you aren’t worth using and can actually harm you through lost time and commissions. Take FREE ones for example. Although they are readily available do you really want the measure of your your career to be based on letters whose success rate is unknown? While I hope not, some agents will do just that as sure as the sun is going to rise tomorrow morning. 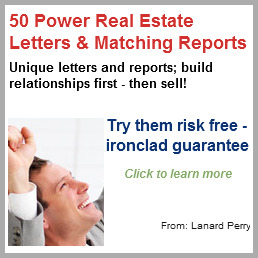 Fortunately, there are some excellent pre-written real estate letters available at reasonable cost, ones that are time tested and proven to be effective... wherever they are used. And as you might imagine the better ones generate a steady stream of warm, responsive prospects month after month; all interested in listing, buying, and/or selling real estate. If you're a new agent you can use Real Estate Marketing Letters to get off to a good start. You can target a lot of "potential" buyers and sellers in a relatively short period of time. 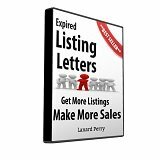 On the other hand, if you've been licensed for a while but don't have the volume of business you want, an expired real estate listing campaign can supercharge your marketing results. Proven letters are making many an agent happy. By design their well considered words and phrases coupled with effective calls to action leverage the most desired responses, whether it’s having readers calling to make appointments to see a home, or emailed you requests for lead generating buyer and seller reports that serve the purpose of filling or replenishing your lead funnel. “New School” Automated Real Estate Marketing Systems, like Call Back Services, Autoresponders, Facebook, Twitter and the like are pretty popular, and for good reasons. All can be highly effective when implemented well, but each they offer unique technical challenges in terms of mastering the platforms well enough to generate enough sales to pay ones bills. Letters on the other hand, even though they're low tech, are the bread and butter of the real estate industry and many agents have long, successful careers because of them. Show me a successful agent and I'll show you one who market themselves using letters. Mailing letters during holidays and special occasions is a great way to grow your business. Through your contacts you'll eventually become like family - and in case you haven't heard it recently "selling real estate is all about establishing relationships." So, send prospects and clients letters during these times, preferably ones befitting the relationship you have with them. There are a variety of them that to match nearly every imaginable situation and/or relationship, so you don't have to agonize over trying to write the perfect letter. Let's face it – you need listings. The more you have the more money you'll make. On the other hand the fewer you have the less you’ll make. So, imagine 15-20 listings and just sold signs with your name on them dotted throughout your community, giving you instant credibility while simultaneously generating even more potential listings and sales. Can you see it? Now go do it! 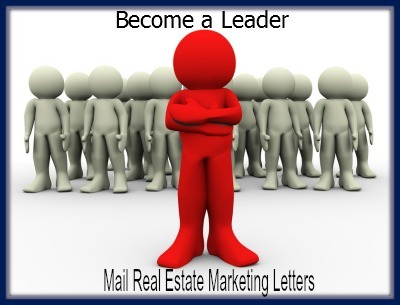 Everybody likes doing business with a winner and good Real Estate Marketing Letters can help you become one. Check out "Real Estate Letters; Low Cost, High Profitability", an article I wrote about the advantages of using Real Estate Letters.